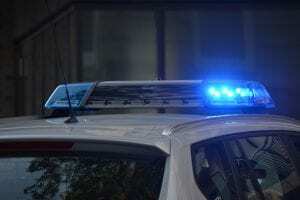 Buffalo, NY (April 10, 2019) – According to authorities, a Buffalo police officer was involved in a motor vehicle accident that resulted in injuries on Wednesday morning, April 10th, at a time that has not been specified. The crash was reported to have taken place at the intersection of Chippewa Street and South Elmwood Avenue. The injurious collision was stated to have taken place between an SUV and the police vehicle for reasons that have not been reported at this time. Emergency medical crews were dispatched to the aforenamed intersection where they confirmed that one officer, identified as Officer Domracki, had sustained at least minor injuries in the collision. One police K9, Lehner, was also stated to have suffered minor injuries. There was no mention of any other injuries being sustained during this incident and the events that led to the crash are currently being investigated by authorities. No further details have been provided at this time. Our sincere sympathies are extended to Officer Domracki, as well as K9 Lehner. We maintain our highest hopes for their full recoveries at this time. Car accidents in New York are frequently fatal or seriously injurious, especially those which occur at intersections or involve high rates of speed. While it can be difficult, it is important for victims to know that they may have substantial rights moving forward. At Hach & Rose, we realize that there is almost nothing as overwhelming as a sudden injury, and as members of the community, our accident attorneys are here for you 24/7 to answer any questions you may have. If you have been hurt in a New York car accident due to no fault of your own, please do not hesitate to call 212-779-0057 today.